French Malbec suffers from some deep self-esteem issues. It is the Rodney Dangerfield of the wine world, for, like the late, great comedian, “it don’t get no respect.” (Never mind the double negative.) And it has serious familial rivalry problems with its cousins in Argentina. Even a cursory glance at any restaurant wine list or wine shop shelf will tell you why. In the “Malbec” section there are likely to be plenty of Argentine selections, perhaps in the U.S. one or two American ones as a patriotic sop, but rarely a French one. I and several other oenological scribblers (including colleague, new pal, and boon traveling companion Mary Cressler; be sure to check out her excellent piece) were invited on a sponsored trip to France by the Malbec producers of Southwest France, clustered around or near the town of Cahors and the Lot River. After a whirlwind week of tastings and feedings (foie gras sliders – wow! ), the inescapable conclusion is that these are serious wines, and should be taken as such – dark, brooding, tannic wines with long-life cellaring potential. In fact, tasting them next to some New World competitors, the Argentine, Chilean, and Australian Malbecs overall tasted, well, wimpy and insipid. But, after all, that was the purpose of the exercise. France has long cultivated malbec, but usually only as a blending grape for Bordeaux wines. There was wine being made in the area known as “black wine” for its dark color and intensity, but pretty much for a domestic market. 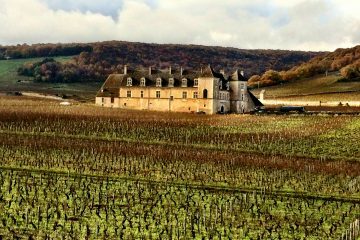 Bordeaux and Burgundy dominated the market. And its fortunes suffered a huge setback when a massive frost devastated the region in 1956, destroying many vineyards. So the French mounted a counteroffensive. 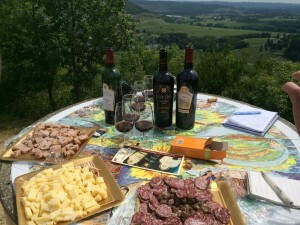 The growers and winemakers banded together in a professional group called “Union Interprofessionnelle des Vins de Cahors (UIVC)” to promote the wines. The Argentines were using the varietal name of “Malbec” but the French, as is tradition, were using the place name, which was confusing to consumers. That was changed and the wines are now called “Malbec” (although they can have 20% of something else – usually merlot – to soften the harsh tannins of malbec). They even designed a new wine glass with a ring on the stem, which actually makes it easier to hold onto. And they have periodically sponsored “Malbec Week,” bringing over journalists, sommeliers, and distributors to show off the wines. The biggest market for the French Malbecs, he said, is Canada, especially French-speaking Quebec. The U.S. is a distant second and one they are increasingly targeting but, as expected, running into stiff competition for shelf space from the Argentines. And they are finding a hospitable marketing environment in increasingly wine-thirsty China. On the side of tradition I would firmly place Bernard Bouyssou. Loquacious, smart, funny, profane, and an outrageous flirt with any ladies at our dinner table, Bernard is grandson and great-grandson to winemakers and the fourth generation to continue the running of the estate “Château Armandière” in memory of his grand father Armand. Bernard – who is a great host – makes a variety of styles depending on the terroir and elevation. There is a 2011“Malbec Ancestral,” a lovely little lowland number that is more fruit-forward than its more intense cousins but is still very nicely structured. Then there is a line called “Diamant Rouge” (“Red Diamond.”) I liked the 2012 but it struck me as too fruit-forward, not typical of many of the tannic, intense wines of the region. But the 2008 Diamant Rouge was a revelation: heady, powerful, with smoky, overripe black cherries on the nose and a languorous finish of dark currants attacking all corners of the palate. His star, to my palate’s way of thinking, was the 2002 Château Armandière. Here there were aromas of toast and mushroom, and a beautiful flavors of herbs (sage, I think), vanilla, and the dark cherries. We had a bottle that had been opened for several hours, so the tannins had a bit of time to settle down. My notes say “brilliant, intense,” and so it was. I have a bottle of the 2005 Château Armandière – a vintage generally conceded among Cahors winemakers as a standout – that I shall open on my birthday. On the more innovative side is Emmanuel Rybinski of Clos Troteligotte. (Being an American, I had to of course call him Manny, and he was cool with that; he is usually called “Manu.”) Young, full of vigor and passion, Manny produces a range of wines with some unusual innovations. Manny has edged all his viticulture and winemaking into organic, and his wines are certified as such by Ecocert, a European body that sets standards for organic wines. He hopes to take the winery further down that road next year when he seeks biodynamic certification. He leaves the grape skins and the vat cap for a month or more, punching it down with the traditional tool, the devil’s pitchfork-type “pigeage,” a term that originally meant punching down the cap by the human foot but now refers to just punching the wine cap. But for some of his wines Manny goes really traditional – like Roman or Greek. 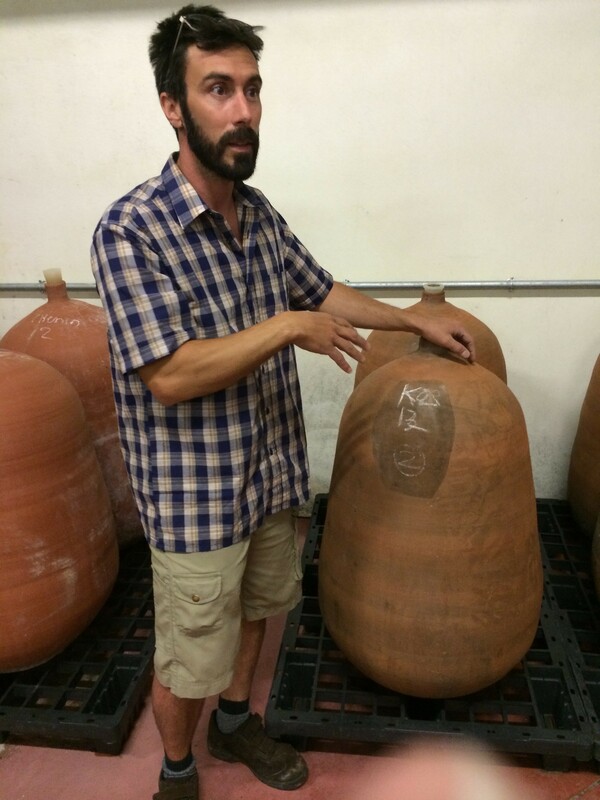 He ages some of his wines in clay amphorae, just as they did thousands of years ago. Manny says the aging the wine in the jars for 10 or 12 months perfectly matches the clay soil on which is malbec grapes thrive. It’s not like barrel aging. The jar-aged wines lose 15-20% of their volume through evaporation, and the jars are porous. 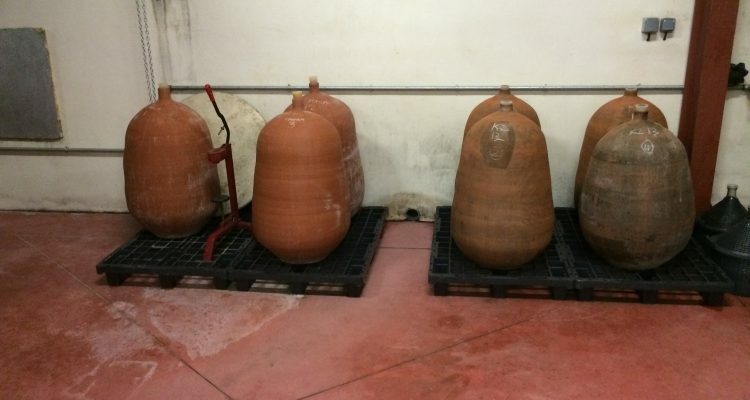 So, Manny said, you have to be careful to not leave the wine in amphorae for too long lest you end up with vinegar. His 2002 K2 was aged 10 months in amphorae, and it shows. The clay from the soil and jar give off a rich, very earthy nose, followed by a complex fruit structure of blackberries and currants. It is a lovely – and extremely interesting – wine. Manny also has a puckish sense of humor for his wines. He makes one that has no sulfites, so he calls it K-Pot, which he says means “sans protection.” But it is also a play on the word “capote,” which is a slang term for “condom.” (I suggested he give a condom with each bottle, and he kind of liked the idea.) Don’t protect me from the 2012 K-Pot. It is a luscious, but still young, wine with a nose of violets and back hint of vanilla, with that clay in the mix. It has a fine tannic structure to knit the intense dark currant flavors together. It was to me a great expression of French Malbec. The Cahors Malbecs are made to go with big, rich foods. Obviously the local foie gras pairs with it nicely, and duck and lamb bring out the flavors. On the other end of the spectrum, there was one late night after intense tasting (okay, we were drinking, too) when we had one with a pizza, and it was pretty nice. But the epitome to me was cassoulet. The region is home to this hearty dish of white beans, sausage, duck, and lamb (in some incarnations). It’s not a summer dish, obviously; it’s best eaten on a cold, wet day in front of a warm fire. But I was there, and, by God, I had to have cassoulet. 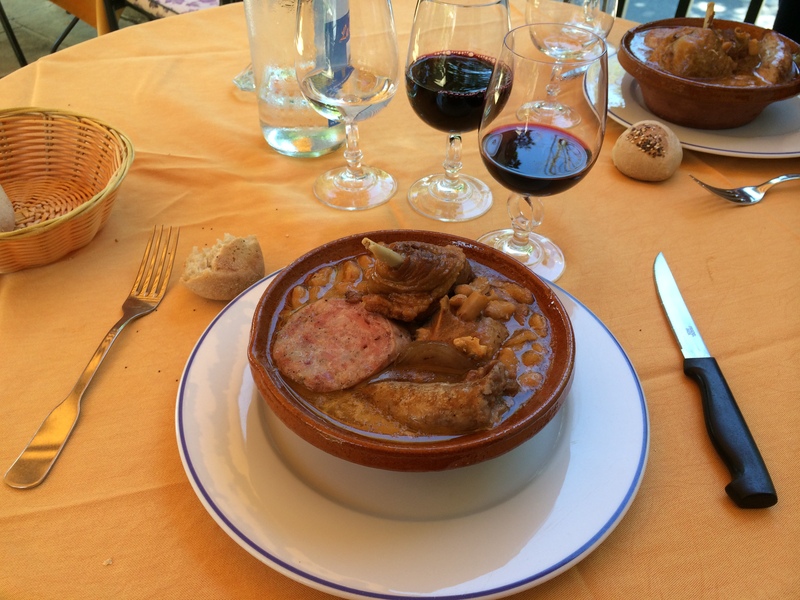 So while the rest of the group went on a sightseeing excursion, I was steered to Le Balandre in Cahors, where the highly renowned chef Gilles Marre made me cassoulet. It was everything I expected: rich, hearty, and intensely flavorful with more sausage and duck confit than beans. On Chef Marre’s recommendation, I tried a lighter Malbec the 2012 Domaine Le Bout du Lieu, but, as much as loved the wine, it lacked the heft to go with a rich, garlicky, intense dish like cassoulet. A great pairing would be the same winery’s 2006 Empyrée. This was an absolute classic – intensely dark, brooding, blackberry fruit with vanilla, pepper, and licorice flavor tones, and a stunningly long finish. And I would not hesitate to recommend any of Arnaldo Dimani’s wines, including the 2007 Orbe Noir, another dark monster that attacks the palate in stages. So now when I search out Malbec, I don’t restrict myself to Argentina. Not that there aren’t some excellent Argentine Malbecs out there, but tasting the ones from the home of that noble grape was a revelation. I just hope some of Cahors Malbecs will be exported more to do shelf battle with their Argentine cousins.